MILAN, ITALY: I love going to Italy again and again, no matter which city or village or region. My idea of Milan didn’t really match with the actual city. Whenever I think of an Italian city, I imagine something very down to earth with lots and lots of history here and there. To my surprise, Milan is actually a very thriving cosmopolitan city with big financial districts, large urban and metropolitan areas, big brand names, and a true shopping paradise. 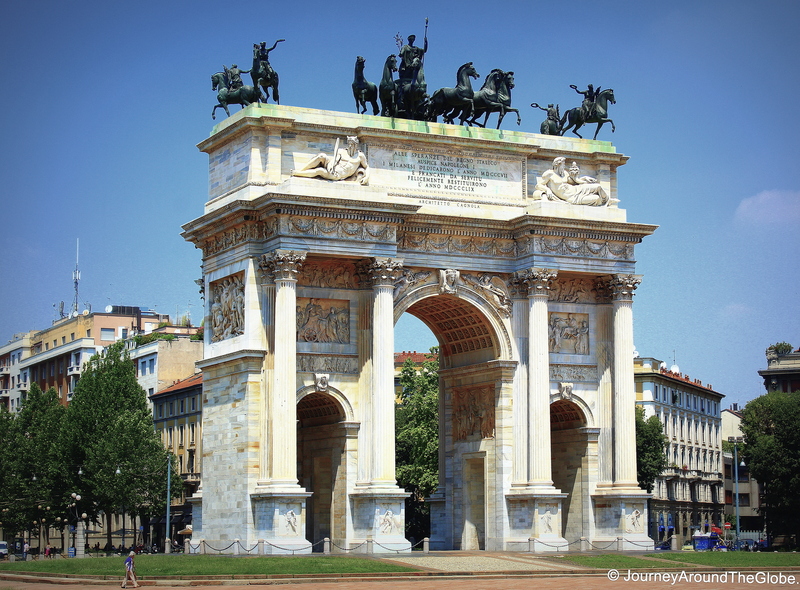 Of course, Milan has its history too (may be not as visible as Rome) but the city strives to give you more of earthy pleasure like shopping, night-life, music, and entertainment than taking you back to ancient times. 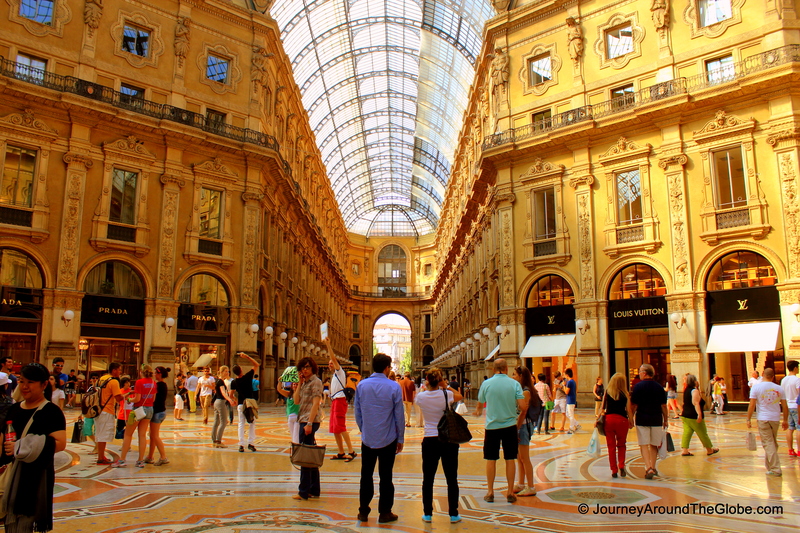 TIME OF TRAVELLING: We flew to Milan around mid-June of 2012 from Brussels. The flight was only little more than an hour. Although it was 85 degrees outside and we were sweating like anything, it felt awesome just to be there with my family. My 6 years old daughter was complaining left and right about the heat, so we had to keep her happy by giving lots and lots of gelatos, popsicles, and cold juices. OUR HOTEL: We stayed in Idea Hotel Milano Lorenteggio in Milan. It didn’t have free Wi-Fi but had free breakfast with great customer service, just don’t eat in their restaurant…all the dishes were way too salty. The location of the hotel was not that great, kinda far from the main attractions. The good part was that we used to take Bus 50 from other side of the street and that would take us right to the Castello Sforzesco in about 25 minutes. PLACES WE VISITED: We had 2 full days to explore Milan. I shouldn’t say it is enough if you want to visit every museum of the city. Milan is like Rome in a sense that most of the tourist attractions are very spread out and you have to walk a lot in order to cover most of the popular spots. If you a big fan of Inter Milan or AC Milan soccer team, then taking a trip to their home ground San Siro may not be a bad idea. Followings are the places we visited during our stay. 1) THE DUOMO (DUOMO di MILANO) & PIAZZA del DUOMO: This has to be the spot to hit if you have only half a day or a day to spend in Milan. This overly majestic cathedral with many spires stands facing Piazza del Duomo with Galleria Vittorio Emanuele in one side and the old Royal Palace (which now is a museum) on the other. Construction of this breathtaking edifice started in late 14th century and took nearly 6 centuries to finish. The main spire, built in 1769, is 109 meters high and has on top a golden laminated statue of Madonna. 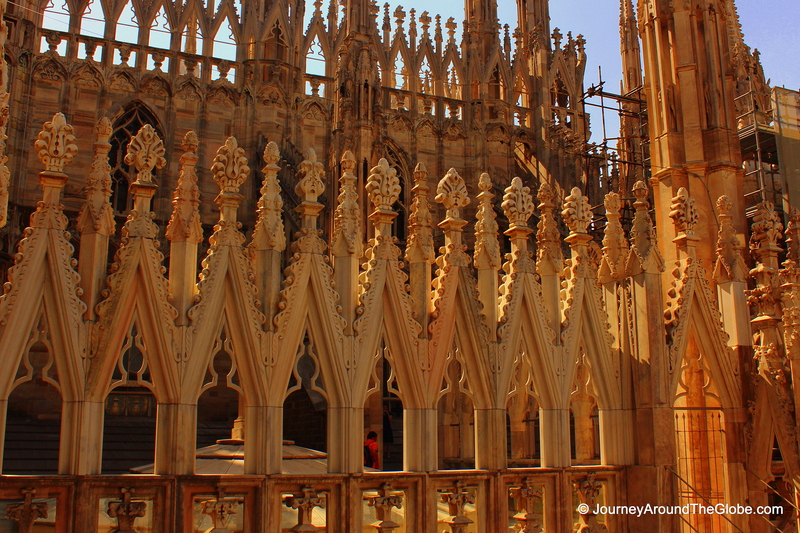 This is the 4th largest cathedral in the world and the largest one in Italy. 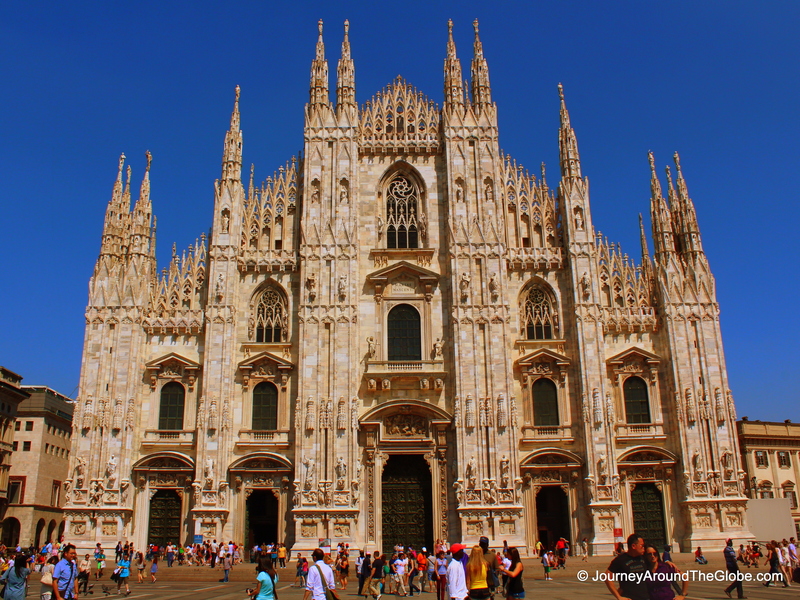 Its eye-catching façade and gothic exterior with thousands of statues makes it the symbol of Milan. 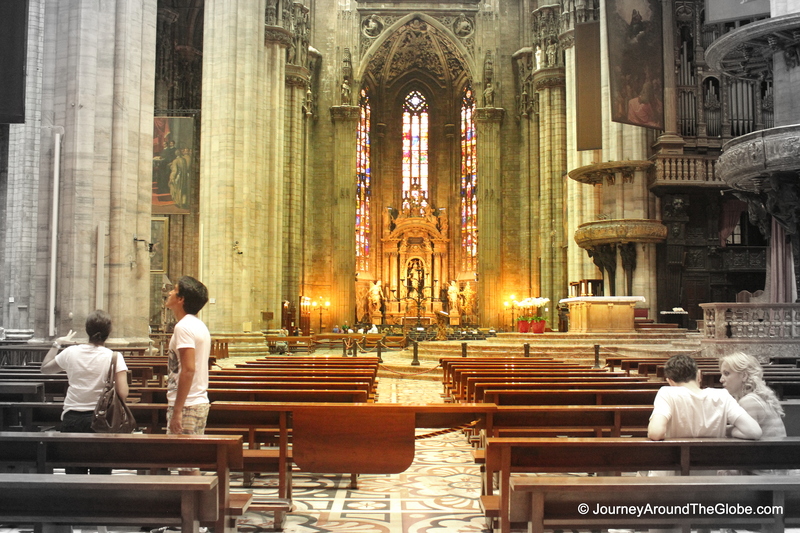 Interior of Duomo is remarkably beautiful and it will make your jaw drop with its gigantic size pillars, thousands of statues, old mosaic floor, beautiful paintings, and fine-detailed stained-glass windows. After I entered the cathedral, it totally made sense why it took 6 centuries to build this magnificently ornate structure. There is no fee to enter the cathedral. It is forbidden to take pictures inside, but everyone was taking pictures and no one really stopped them from doing so. Don’t forget to go downstairs to see an old chapel and tomb of a saint whose name I can’t remember now. And the best part of it is that you can go on top of the roof for a marvelous panoramic view of Milan between those gothic spires. You can either walk 250 steps for 7 euros person or take an elevator for 12 euros and free for 15 years or under. It will be a crime if you miss this chance. 2) GALLERIA VITTORIO EMANUELE II: This is located right beside the Duomo in Piazza del Duomo that has Piazza della Scala on the other end. The two main entrances are marked by imposing triumphal arches. This is considered as one of the most representative architectural accomplishments of the city. Even if you don’t buy anything from this EXPENSSIVE shopping arcade, be sure to visit it anyway to experience this splendid 19th century mall. The arcade is decorated with stunning mosaic floor, arching glass and glazed cast iron roof (very similar to St. Hubert Gallery in Brussels, just a bigger version), and of course with big fashion names like Prada and Louis Vuitton. 3) VIA DANTE: This is a famous and grand shopping street of Milan. This is a long and lively pedestrian avenue with many high-class brand-name stores along and local boutique shops along with many cafes and restaurants. 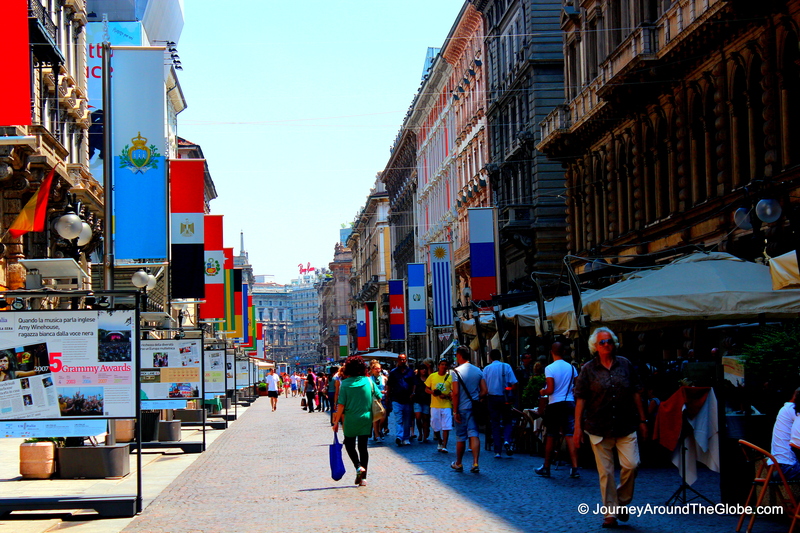 When we went the street was decorated with flags of different countries for upcoming Milan Expo. Via Dante stretches from Piazza del Duomo to a big round-about near Castella Sforzesca. If you are planning to have meal here, make sure to check the price before ordering something. We had our lunch all the way at the end of Via Dante that’s facing the Duomo. We ended up paying 10 euros for 1 glass of coke and 26 euros for 2 glasses of apple juice that were ordered for our daughters. 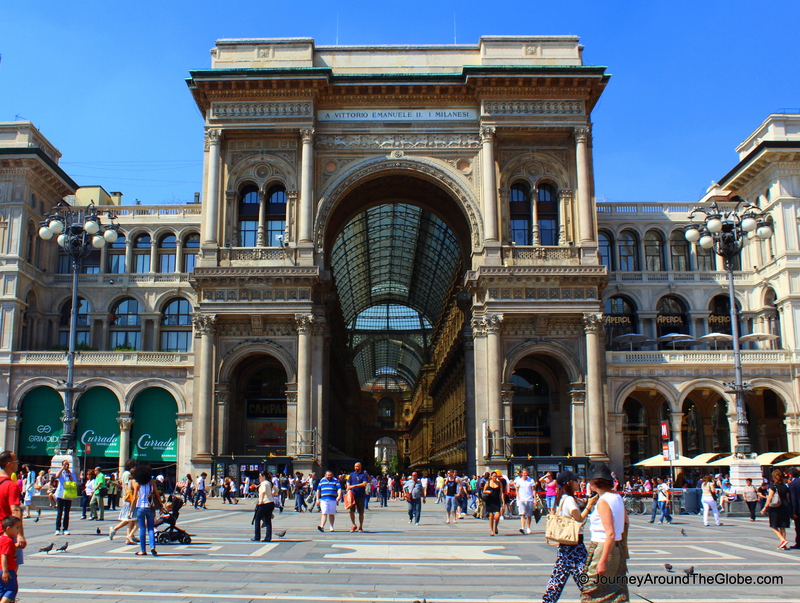 4) PIAZZA della SCALA: This is rather a small yet impressive square on the other side of Galleria Vittorio Emanuel. 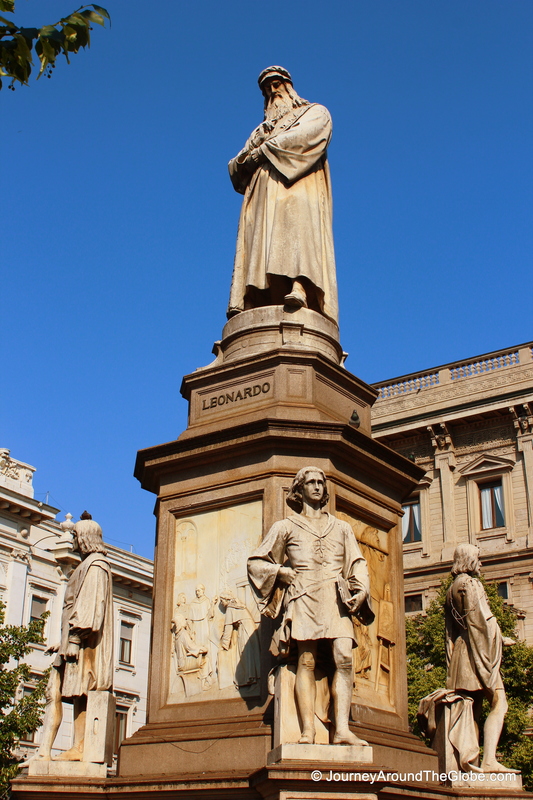 A statue of Leonardo da Vinci was erected in this square in 1872 to honor this multi-talented man who was not only a painter, but also was master in sculpting, engineering, and architecture. Behind this statue is Palazzo Marino, which has been Milan’s City Hall (Citta Di Milano) since 1861. Facing the city hall is the most famous building in this square is Teatro alla Scala. Not sure how it looks inside this opera house, but outside didn’t really impress me much. But this is one of the most renowned opera houses in the world that dates back to 1778. 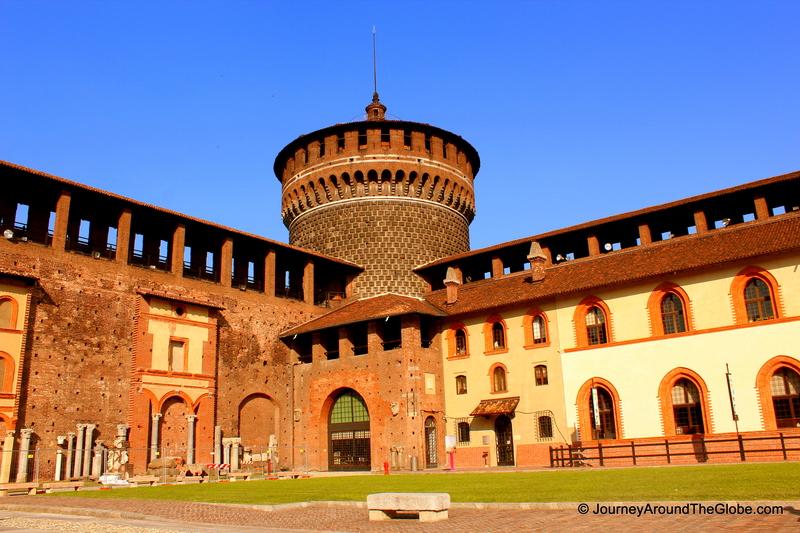 5) THE SFORZESCO CASTLE (CASTELLO SFORZESCO): This is a 14th century castle that once used to be the seat and residence of the Duchy of Milan. The castle was heavily damaged in 1943 during WWII and was later reconstructed by the city. There is no fee to enter its huge courtyard, where Ducal Court (Corte Ducale) and The Tower of Bona of Savoy stand. Presently, the castle houses several different types of museums and art collections, like Egyptian art, fine arts, applied arts, ancient art, and many more. Museums are open from 7-6pm everyday and closed on Monday. This is located very close to the last station of Bus # 50 (Cairoli) and situated in between Sempione Park and Via Dante. 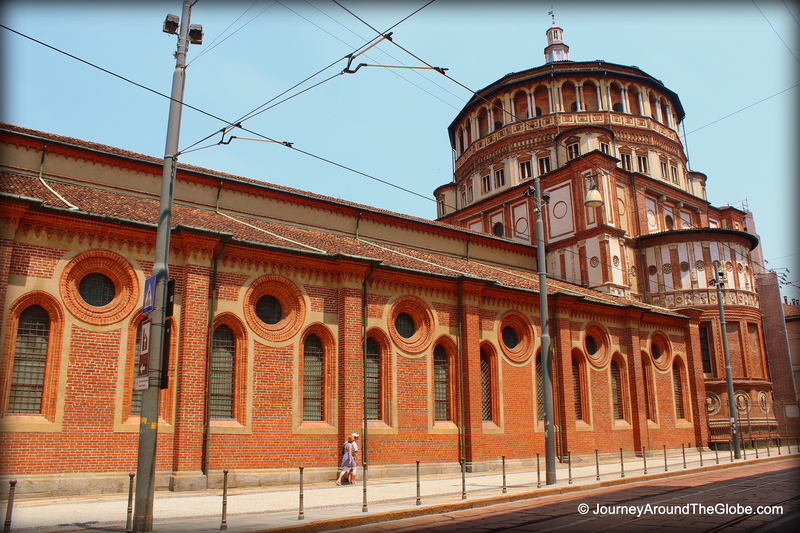 6) SAINT MARY of the GRACES (‘SANTA MARIA delle GRAZIE’): This is another must-see in Milan. The church is well-known for housing Leonardo da Vinci’s undoubtedly one of the most famous paintings “Last Supper” (1494-1498). It is a UNESCO World Heritage site as it represents a unique masterpiece of man’s creative genius. It’s best to reserve the ticket (about 8 euros per person) couple months in advance to experience this truly marvelous piece of work, which can be done by phone or online. 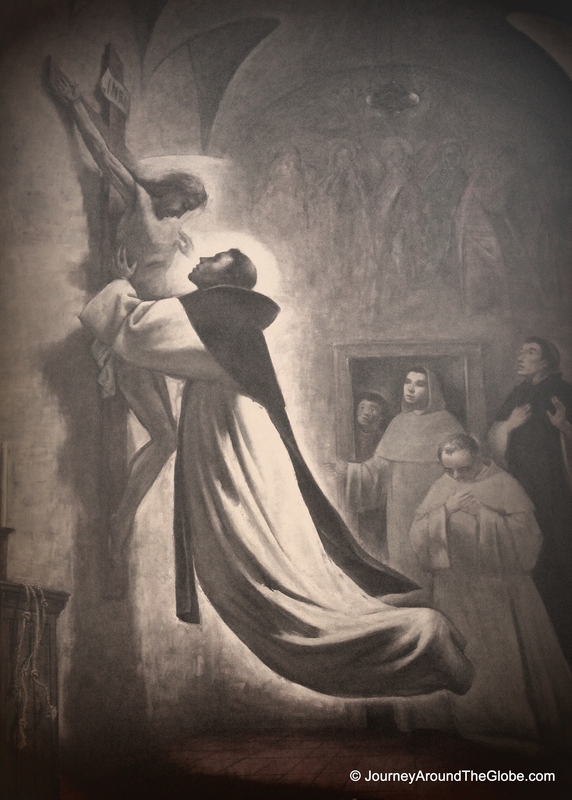 This mural (which came to me as a shock, since I always thought it was done on a canvas) is located in a temperature and humidity controlled room along with another famous painting, The Crucifixion, from 1495 by a Milanese painter Giovanni Donato da Montarfano. The painting was done with the city of Jerusalem in the background. 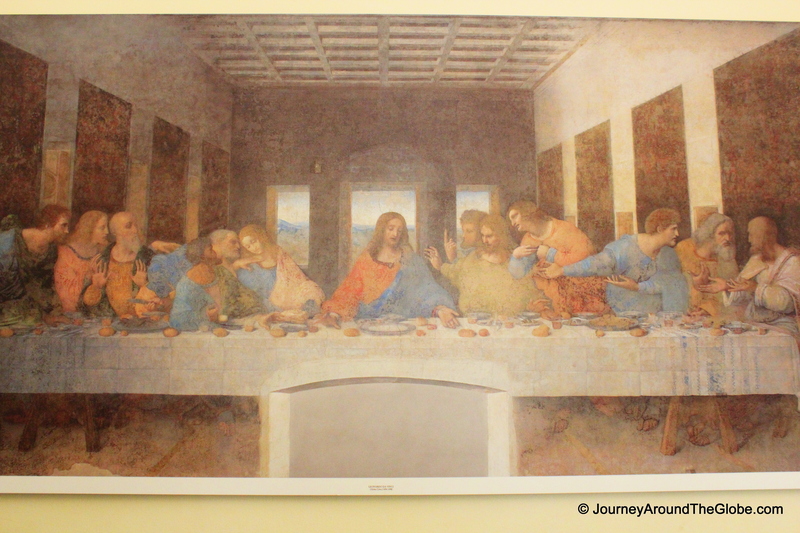 According to tradition, the initial and final episodes of the Passion of Christ are represented in the Refectory of Santa Maria delle Grazie with Last Supper on the north wall and The Crucifixion on the south. Another interesting fact about Last Supper is that Leonardo da Vinci tried to capture the shock and emotion (body posture, hand movements, and facial expressions) of the apostles after Jesus pronounced “Truly I tell you, one of you will betray me.” During WWII this whole building was badly bombed, fortunately, keeping both the wall of Last Supper (thanks to the protection put in place at the beginning of the war and prompt reconstruction work) and The Crucifixion intact with some light damage. Then from 1978-1999 the painting went through a heavy restoration process that took about 20 years to finish. Too bad we weren’t allowed to take picture inside the Refectory, but it will surely stay in mind forever. The church of Santa Maria delle Grazie is a historical site itself. It was built in Lombard gothic style between the years of 1463-1482. The scars of bombardment from 1943 are still visible in the church. Its marble floor, beautifully designed ceiling are very nice. Even though the interior is rather simple, but it has some great collections of paintings from the 16th century. The good part is that the fascinating history of each painting is written in English for your knowledge. There is no entrance fee for the church, but it opens and closes few times a day…you just have to check out the time outside the church and see which one suits you the best. 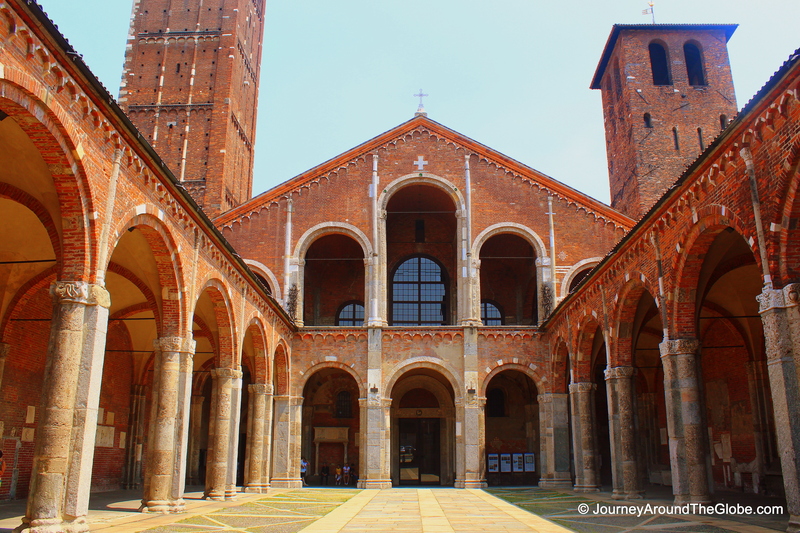 7) SAINT AMBROSE (BASILICA di SANT’ AMBROGIO): This is an old, beautiful, and big Byzantic/Romanic church in the older part of Milan. This was founded by the Bishop Ambrose between 379 and 386 A.D. His body is laid on the small chapel under the high alter. The basilica houses some unusual and precious art objects. The outer courtyard is very clam and quiet which is decorated with many original tablets and wall pieces. History of this basilica is also displayed here in English. 8) SEMPIONE PARK and ARCH OF PEACE (ARCO della PACE):Sempione Park is a big open space of green land right behind Sforzesco Castle. It is very popular among the locals for hanging out or having picnics. At one end of this park, in Piazza Sempione, stands a neo-Classical monument called Arco della Pace or Arch of Peace. What was originally to have been a “Victory Arch” celebrating Napoleon’s imperial accomplishments was later restyled “Arch of Peace” to mark the end of a period of blood wars in Europe. The arch is only 10 minutes of walk from the castle, great if you want to take a stroll through the park and visit this historical arch on the other side. There is a memorial behind the basilica called Tempio della Vittoria that comemorates Milan’s war dead. Ciao, really nice work, enjoyed the trip! Queste blog e molto bene. Milan is amazing! Great Post! I wish I can go there someday. If you have travel related services or products that you want to sponsor in my blog, please contact me using the Contact Me form. I will promptly reply you as soon as possible. 6 Reasons Why Venice Carnival is The Most Unique Festival in the World! Dubrovnik - "City of Stone and Light"
Craving for Old Europe? 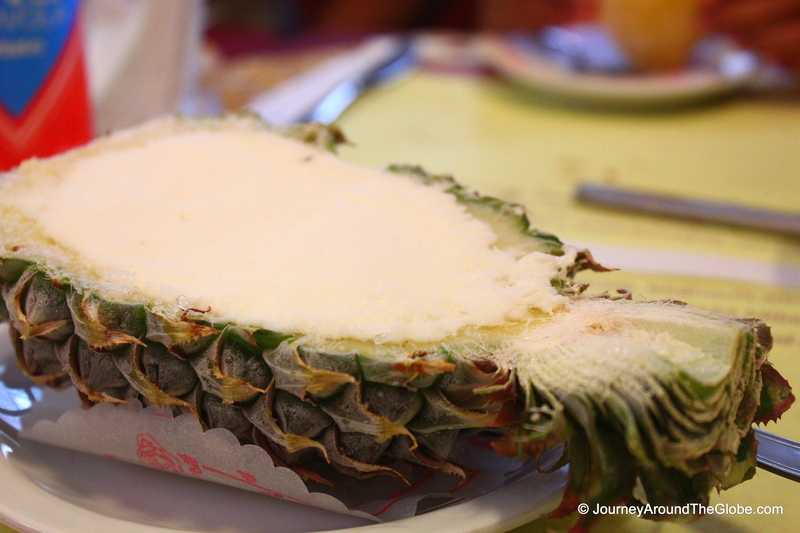 Here are Top 7 Cities to Visit !! !